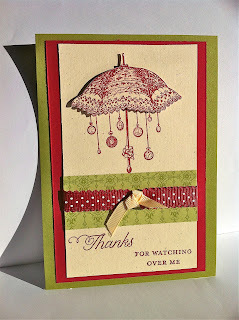 I am so lucky to be a part of the Eureka Stampers Stampin' Up! team. This team is not only proactive with training and resources but also full of very talented ladies. I recently participated in a new Autumn/Winter mini catalogue swap amongst the team and I am here today to share with you all amazing swaps I received. 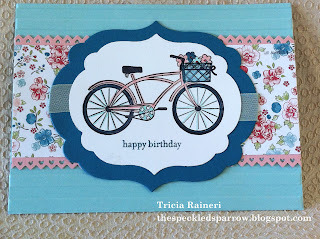 Tricia Raineri - My swap as seen in a recent post. 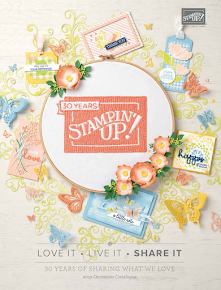 Wow, now weren't they all great samples packed full of fun ideas from the Autumn/Winter mini catalogue! 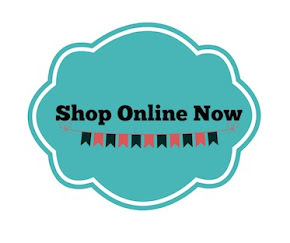 I hope they have inspired you to get creating with these great products. Can you believe I only just opened my packet of Beau Chateau DSP. I have had it for over 4 months but have just had so much going on I have not had a chance to use it. I needed to make a few thank you tags for some recent orders and there was that chicken looking at me through the shiny plastic. *DING* a vision came to me and Viola! 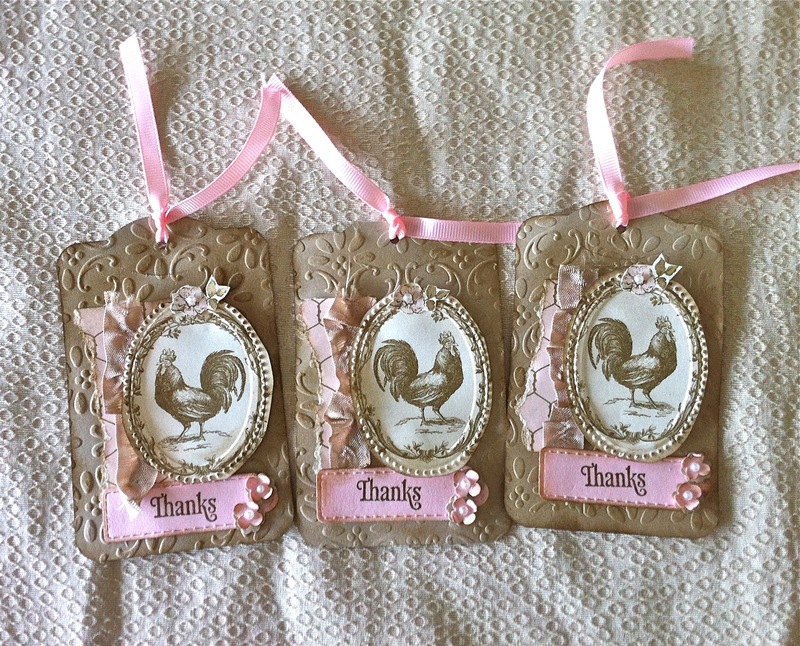 I am SO loving all the Stampin' Up! DSP lately! 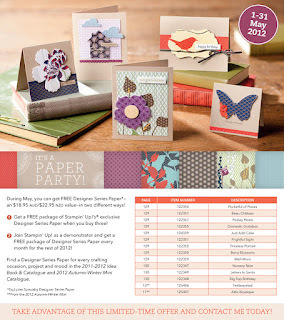 With the Paper Party Promotion from May 1- 31st you too could be working with some seriously gorgeous papers. Feel free to contact me for more details. Paper: Crumb Cake, Beau Chateau DSP, Pretty In Pink. Ribbon: Crumb Cake 1/2" Seam Binding Ribbon, Pretty In Pink 1/4" Grosgrain. Cool Tools: Bigshot, Finial Press Embossing Folder, Designer Frames Oval Embossing Folder, Lots of Tags Sizzlet, Itty Bitty Shapes Punch Pack, Pearls, Dimensionals. With Mother's day not far away here in Australia, I thought I had better get a move on and make a card for my Mum. Today I was playing with my watercolour crayons and my favourite card stock - Confetti White. I have heard rumours this may be retiring here as it is definitely retiring in the USA. I love the confetti white and confetti cream papers for that old world feel and because they are quite a heavy card stock. I also used some of the Attic Boutique DSP. 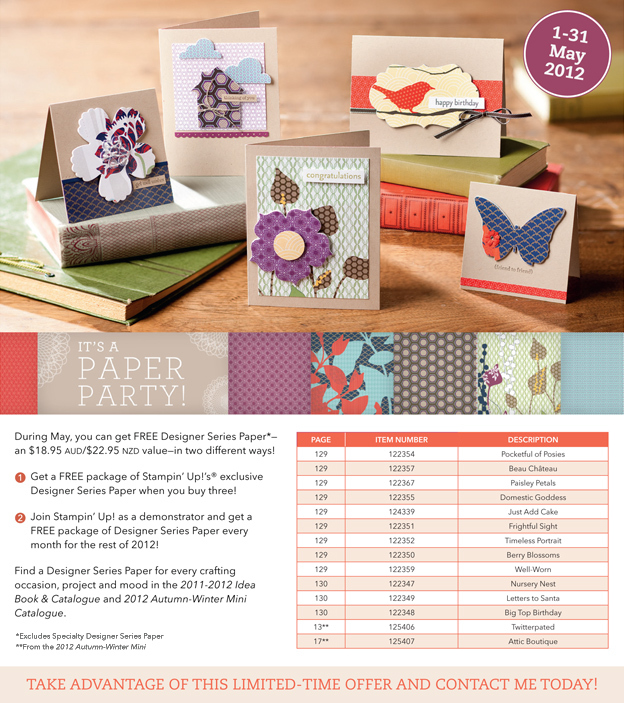 May is Paper party month - so grab 3 packs of DSP and get one for free. 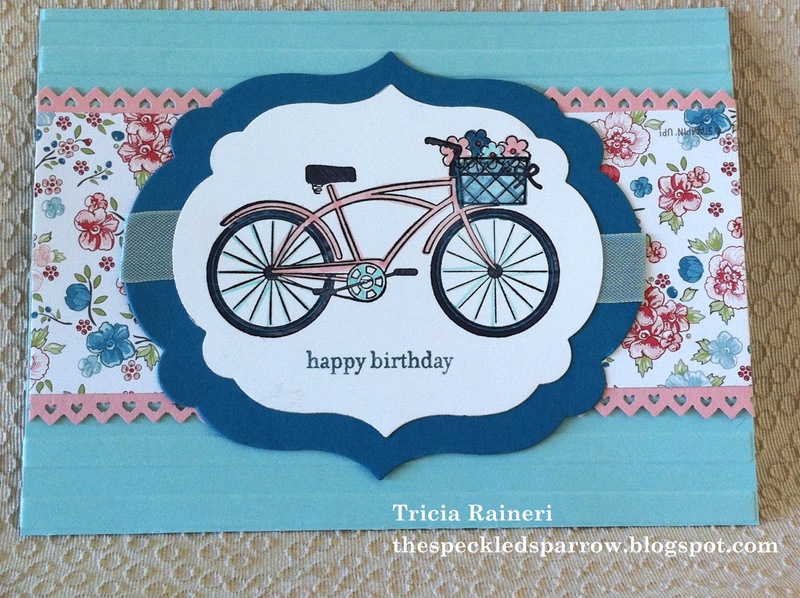 This DSP is included in the Paper Party Promotion so why not grab a few packs! 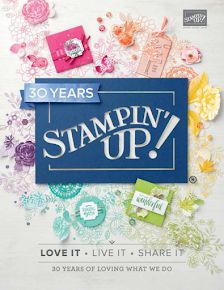 I'm off to get started on my swaps for convention - only 26 days till I am in Stampin' Up! heaven! 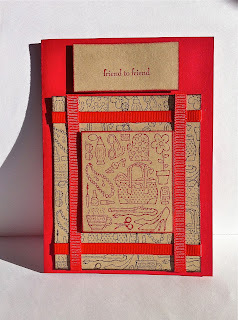 Stamp Set: Apothecary Art, Teeny Tiny Sentiments. Paper: Confetti White, Baja Breeze, So Saffron, Crumb Cake, Attic Boutique DSP. Ink: Early Espresso, Subtles - Watercolour Wonder Crayons. Ribbon: Crumb Cake 1/2" Seam Binding Ribbon, Antique brad.